The tide of environmental protection is changing the landscape of maritime regulation, with the industry being slowly forced to clean up its act, writes Warwick Norman, Chief Executive Officer, RightShip. The IMO introduced the Energy Efficiency Design Index (EEDI) to measure the carbon dioxide (CO2) emissions for all new builds from 2013; sulphur caps have been introduced in Emission Control Areas (ECAs) with a proposal for a worldwide cap by 2020; and tier III nitrogen oxide (NOx) emission standards will be mandatory on all new builds from 2016. Transporting over 90% of the world’s goods, the ubiquitousness of the maritime industry in customer supply chains means that public pressure is forcing charterers, ship owners, banks, insurers and now port operators to play a role in reducing their emissions footprint. Many significant industry players have publically announced their use of a variety of emission reduction technologies and measurement tools that keep them abreast of these market forces, but ahead of regulation. Banks such as ABN Amro, HSH Nordbank and KfW IPEX have also recently announced their use of RightShip’s Greenhouse Gas (GHG) Emissions Rating to assess risk and return, with inefficient vessels now representing a higher-risk investment. RightShip’s GHG Rating, developed from the EVDI (Existing Vessel Design Index), measures the theoretical CO2 output of all vessels — not just those built from 2013. This rating assigns each ship with an A–G nomination across a peer group of vessels of a similar size and type, where A represents the most efficient vessels. Charterers such as Cargill, Huntsman and Mosaic to name a few, collectively representing 26% of global bulk cargo or 1.95 billion tonnes annually, use the GHG Emissions Rating to select the more energy-efficient vessels. Ports which are working to keep pace with market forces are also finding themselves a step ahead of regulators. With an ‘act local, think global’ mantra, leading port authorities are cleaning up their own backyard, and in so doing are acting as a vital link in greening the maritime industry supply chain. Western Canada’s Port Metro Vancouver and Prince Rupert Port Authority are two ports that have implemented successful incentive programmes that reward energy efficient vessels. Port Metro Vancouver, Canada’s largest and most diversified port, took early steps to recognize the more environmentally sustainable vessels through their EcoAction Program. Launched in 2007, this program promotes emission reduction measures that exceed the current legislative requirements, offering discounted harbour due rates to vessels that have implemented emission reduction measures and other environmental practices. Supporting a range of measures, Port Metro’s EcoAction Program provides rewards on a three-tier basis, with vessels that achieve an ‘A’ in RightShip’s GHG Emissions Rating qualifying for the highest ‘gold’ discount, or a 47% reduction in harbour dues. Though EcoAction, in 2014 Port Metro discounted over $1 million in harbour dues to vessels going beyond regulatory requirements to reduce emissions. Both Port Metro and the Port of Prince Rupert — Canada’s second largest west-coast port — work within the Green Marine environmental program with a common group of ports, terminal operators and supply-chain partners throughout North America. In 2014, 45% of Prince Rupert’s vessel calls qualified for discounted harbour dues under their Green Wave vessel incentive scheme, which recognizes and rewards vessels that have a lower environmental footprint. Of these 197 vessel calls, 84% qualified through RightShip’s GHG Emissions Rating. The flow-on benefits of the Green Wave Program have been significant to Prince Rupert — so much so that they are extending the programme to reward all RightShip A-rated vessels with automatic qualification for the highest discount. Although both these programmes recognize vessels that are ahead of legislative requirements, the changing landscape of environmental regulations means they need to keep evolving to maintain this positioning. For example, the recent introduction of mandatory changes to sulphur content (0.01% in emission control areas) means that low sulphur fuel is no longer recognized by these programmes: there is no value in rewarding something that simply meets regulatory compliance. An incentive programme allows ports to encourage and reward efficient vessels operating above environmental compliance. 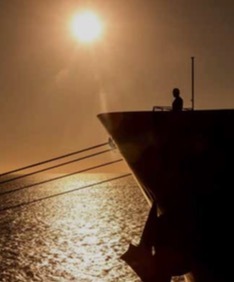 There are numerous options for incentive programmes, including RightShip’s GHG Emissions Rating and Environmental Score Rating, Green Marine, Green Award, CSI (Clean Shipping Index), ESI (Environmental Shipping Index) and the previously mentioned EEDI — although the latter only applies to ships built from 2013. Implementing an environmental incentive programme should be preceded by the benchmarking of historical arrivals. Crucial to the planning process, this data can be used to calculate a baseline for displaying trends over time and demonstrating improvements in GHG emissions from ships — both in port and for their entire journey. Benchmarking is also used to establish an estimated cost of the incentive programme, ensuring budgets can be set and managed within management expectations. This is also useful if the port authority is applying for external (e.g. government) funding. Utilizing RightShip’s GHG Rating, the screenshot map shows the Greenhouse Gas Emissions Rating of all vessels arriving in UK ports in 2014. This information can obviously be tailored by vessel type and by individual port, so clear baselines can be established and improvements demonstrated. Positioned – quite literally – at the forefront of the effects of global warming and rising sea levels, ports are increasingly aware of the impact of CO2 emissions. Using a measurement tool such as RightShip’s GHG Emissions Rating provides visibility as to their efficiency and enables an evidence-based response to public pressure and customer demands, ensuring they are ahead of the game when regulation catches up with these market forces. And the best thing of all? As part of their ‘giving back to industry’ policy, RightShip provides this service free of charge to ports. Leading the way in safety and environmental sustainability, RightShip is the world's leading maritime risk management and environmental assessment organization. RightShip's comprehensive online system is accessed 24/7 through the company’s website, using up-to-the-minute data from over 76,000 ships and thousands of maritime companies to deliver instant, reliable marine risk and environmental sustainability assessments. Warwick Norman, Chief Executive Officer, RightShip. Norman has been Chief Executive Officer of RightShip since its inception in 2001. Under his stewardship the company has become a global authority on maritime safety and environmental sustainability, helping shippers, terminals and ports, ship owners, managers and maritime finance organizations to minimize their maritime and environmental risk. A third generation seafarer, Norman sailed from cadet to the rank of Master in ASP Ship Management’s tanker fleet. Prior to joining RightShip, he was the Marine Standards Manager at BHP Billiton where he was responsible for ensuring the company adhered to national and international standards for Quality Assurance, International Safety Management and Safety and Environmental Protection as well as salvage operations and insurance issues. Norman has lectured in tanker safety at Australian maritime colleges, served as a board member of the Seafarers’ Workers Compensation and Rehabilitation Board and the Marine Council, and is currently a member of Lloyds Register Asia Advisory Committee and Chairman of AUSMEPA.